Join Forrester Research and HP in this webinar which explores common myths about IT disasters and analyzes different strategies to protect a company's information assets based on risk and cost. 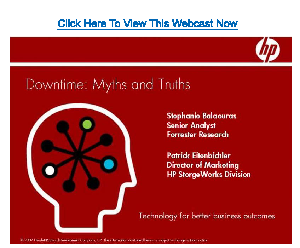 Stephanie Balaouras of Forrester analyzes 5 common myths around IT disasters e.g. disasters and loss of a data centers are rare.